For successful summer holidays in the mountains, book your accommodation to Veysonnaz in Valais massive, Switzerland. This mountain resort will offer you exceptionnal areas and surprising landscapes. Your summer accommodation to Veysonnaz will be for you a moment of wellness in the heart of a beautiful nature and you will spend holidays in wide open spaces. Our moutain offers will make you live warm emotions with all your family. We propose you quality holidays accommodation in all French massives, in the heart of mountains. 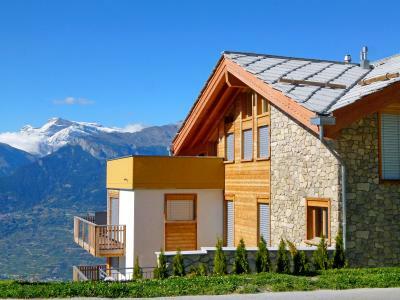 We have many residences to rent for your summer to Veysonnaz. Let yourself be carried by a feeling of happiness, enjoy the summer holidays in the mountains full of sun and discoveries ! The Chalet CNY01, South-West exposure, is located in the village of Vaysonnaz, at 700m from the first shops and restaurants. The cable-car is at 850m. The Chalet is well equipped and decorated in a mountain style. YOu will have a wonderful view over the Rhone valley. This luxury apartment was built in modern style. The apartment is situated on the third floor of a high quality residence of thirteen apartments. Ski Heaven provides several common high end facilities like a deluxe spa with sauna and jacuzzi (for common use; on the same floor; spa rules apply). A common laundry room with washing mashine and laundry dryer is also available in the house. One parking space in the car park belongs to the apartment. The apartment has 3 bedrooms, one of them with its own 'en suite' bathroom, modern kitchen and well equipped living room with a stove (window). From the balcony and terrace you have a breathtaking panoramic view over the mountains and valley. Restaurants, shops, bars and a supermarket are also in walking distance (at around 100 m). 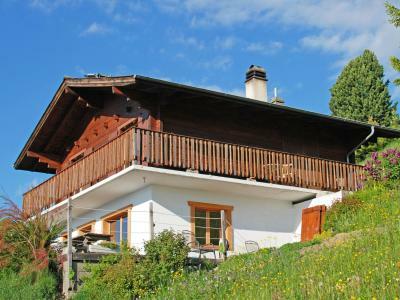 In Veysonnaz you will find charming restaurants and can enjoy the beautiful views over the Rhone valley.